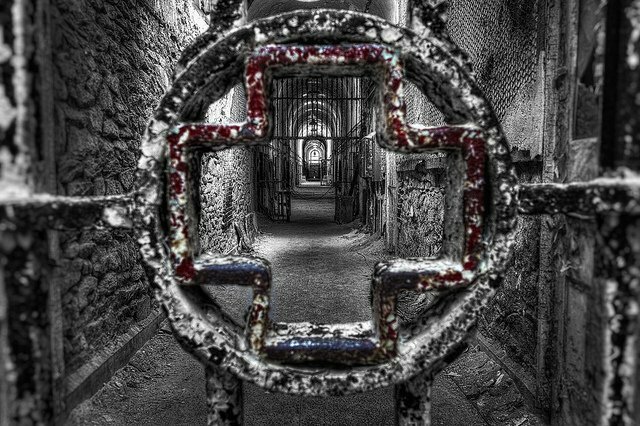 Medical Cellblock, Eastern State Penitentiary, Philadelphia, PA. Photo by Donnie Nunley/Flickr. AARP Asserts Political Neutrality, According to John Hishta, Senior Vice President. The Author of The American Medical Money Machine Sees a Very Different Story. “Another Nail in The Coffin of Public Confidence and Trust,” says Author James R. Goldberg, who Wrote the Probing Account about Medical Tourism and the Degeneration of Healthcare in America. In a press conference today, James R. Goldberg, author of The American Medical Money Machine was discussed. “Goldberg points to a recently published October 4, 2012 Associated Press article and its remarkable implications,” said Alistair Henderson of Homunculus Publishers. “I believe and allege that the stance of political neutrality proffered by AARP is yet another nail in the coffin of public trust and confidence,” Goldberg hastened to add. “I sincerely doubt and allege that the 40 million members of AARP are aware of how they are being misled and politically manipulated by such statements as reported by John Hishta of AARP,” Goldberg concluded. Goldberg’s explosive book on the corruption of our health care system and his cautionary tale about the dangers of Medical Tourism, “The American Medical Money Machine: The Destruction of Healthcare in America and The Rise of Medical Tourism,” is available on Amazon in paperback or Kindle.